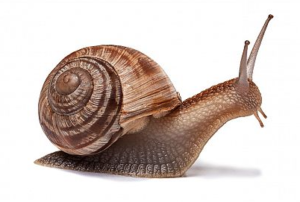 Snail mucin is thought to have amazing skin-care benefits including wrinkle-fighting and youth-preserving agents perfect for combating acne, signs of aging, and environmental skin damage. Snail mucin is packed with hyaluronic acid, glycoprotein enzymes and peptides that when used consistently, will improve the elasticity, texture, and the luminosity of your skin. While also a great source of starch and natural sugars, Potatoes are also great for your skin too. Potatoes are high in Vitamin-C and antioxidants, which when applied generously, acts as a natural toner to balance and clarify the skin. Potato extract also helps remove excess oil, lighten dark marks, and depuff swollen under eyes. Stubborn acne has met its match. Turmeric is a natural anti-inflammatory that helps calm swollen pustules, reduce redness, and clear pores. 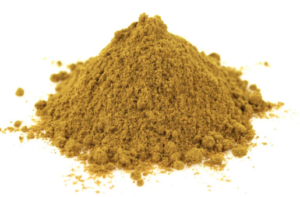 Turmeric can be used as a spot treatment, as a mask, or a gentle exfoliant when used with granulated salt or brown sugar. Winnie the Pooh was onto something. 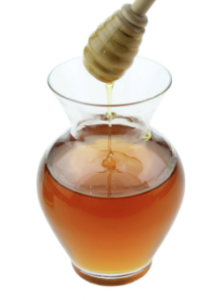 Not only is Honey a tasty natural sweetener, it is also used to make hydrating facial masks to combat the affects of eczema and abnormally dry skin. Honey is also a natural antibacterial, which is perfect for treating minor burns and acne without the sting of alcohol and other harsh astringents. Ever suffered from a swollen, hard, cystic bump right below the skin surface that simply won’t go away? Garlic is yet another natural anti-inflammatory that will not only help flatten cystic acne, but significantly reduce its hang-time. 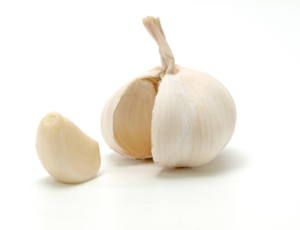 Garlic oil also has another little-known usage, as a natural lash, eyebrow and hairline thickener due to its high levels of allicin and sulfur. 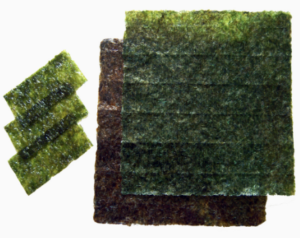 Seaweed is full of mineral, fatty acids, and antioxidants that are great for targeting fine lines and sagging skin. 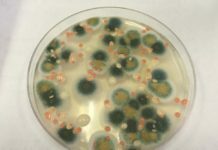 When used as a mask and allowed to penetrate the skin’s surface, seaweed is proven to tighten the neck and jawline, while simultaneously promoting the production of collagen. Don’t get too excited. 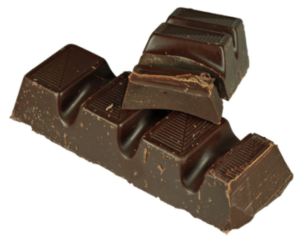 In absolute moderation, dark chocolate is perfect snack after a healthy meal to fight wrinkles, free radicals, and increase blood flow. It can also be used as a powder-to-lay mask to smooth over crows-feet and prominent jowls. It is no secret that fruit-based masks are great skin food, but bananas are especially nutritious for tired, dull skin due to its high potassium and Vitamin-E content. 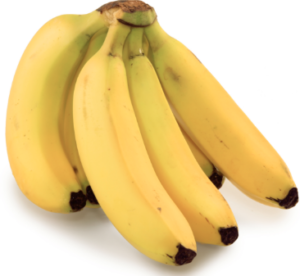 Bananas are also a great source of natural moisture, which can be used as a mask and gently scrubbed off as a exfoliant. Hate the sting of salicylic-acid acne treatments and want something kinder to sensitive skin ? 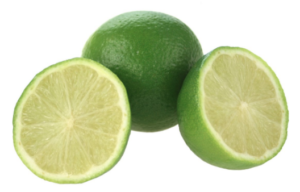 Lime juice is jam-packed with bacteria-fighting alpha hydroxy acids and beta hydroxy acids, that are tough on acne breakouts, acne scars, and sunspots. 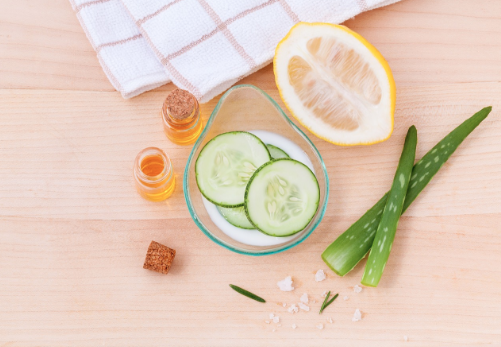 The natural properties won’t over-dry or irritate problem skin, but will instead seep deep into clogged pores to remove whiteheads and other impurities. 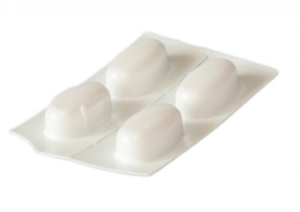 Not only is Aspirin good for treating headaches and minor muscular pain, when applied topically, aspirin is a direct source of salicylic-acid, without the painful sting as its liquid counterpart. Aspirin powder helps reduce redness, dry-out active acne, and relieve soreness caused by rashes, psoriasis, and cystic acne.